Crystal Hana Kim holds an MFA from Columbia University and is a contributing editor for Apogee Journal. She has received numerous awards, including PEN America’s Story Prize for Emerging Writers, along with fellowships and support from the Bread Loaf Writers’ Conference, and the Fine Arts Work Center in Provincetown, among others. Born and raised in New York, she currently lives in Chicago. 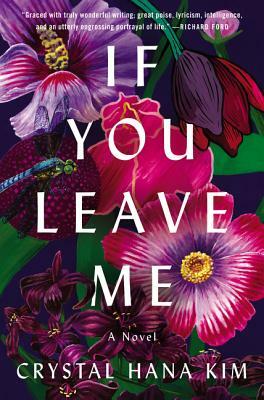 If You Leave Me is her first novel.